Provia is a clean, stylish and professionally designed template for anyone who wants to make great website or internet businesses. This template is perfect choice for newspaper, magazine, editorial, personal blog, entertainment (movie, music and photography), and portfolio. It is responsive and drag-drop to build your own home design. It allows you to customize and display the exactly what you want by shortcodes very quick and easy. 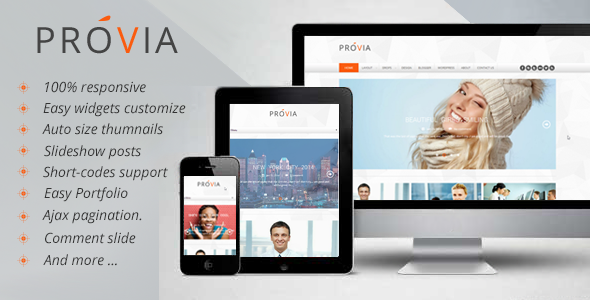 Item Reviewed: Provia - Responsive Multipurpose Blogger Template 9 out of 10 based on 10 ratings. 9 user reviews.